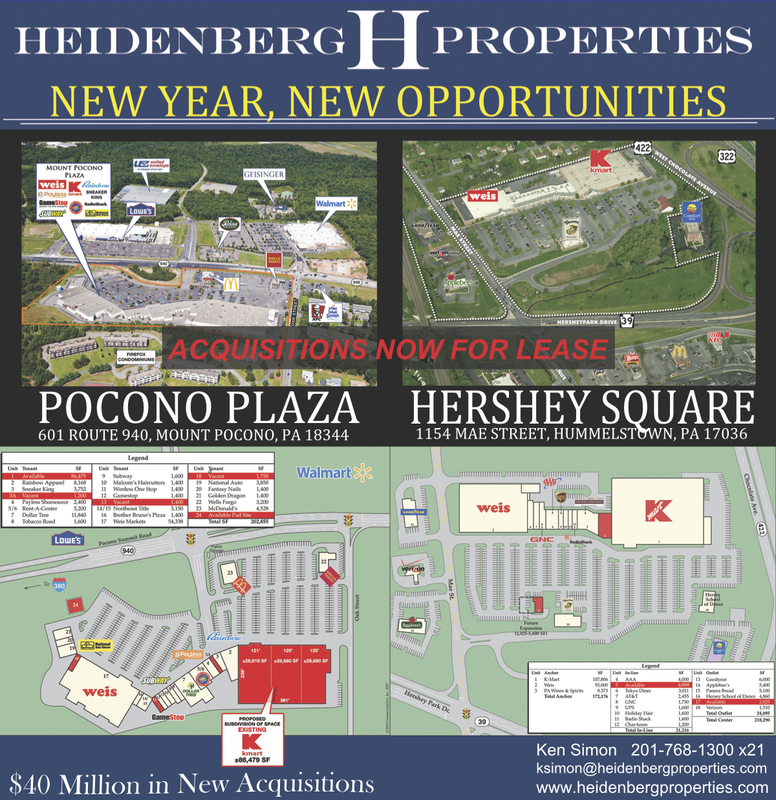 Bookended by the $30 million acquisition of Hershey Square Shopping Center and the assumption of a large urban NNN portfolio, 2014 has been a fantastic year for Heidenberg Properties! In addition to our promising acquisitions, it has also been an exciting time for development within our portfolio. Highlights include the opening of Modell’s at the Southport Shopping Center in Shirley, NY, as well as the grand opening of a Super Walmart in Berlin, VT. None of this would be possible without our dedicated staff, quality tenants, and circumspect stakeholders. We graciously thank everyone who has helped us in 2014 and look forward to continued strength in the new year.